The Holden HR is a range of medium-sized family and commercially oriented cars built by GMH. 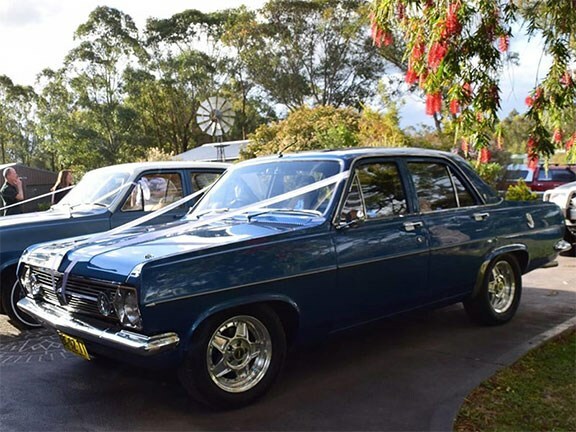 Released in April of 1966, the HR replaced the outgoing Holden HD, and stayed in production until January 1968. Changes made over its predecessor were many, and included a new grille, redesigned roofline, larger rear window, revised taillights, reengineered ball joint front suspension, a wider track and cosmetic interior improvements. The HR also received several new features aimed at improving the vehicles safety. These new features included things like front seat belts, reversing lights, sun visors and windscreen washers. Customers could option their HR in a number of different body styles that comprised a four-door sedan, five-door wagon, two-door ute and a two-door panel van. Power was derived from an array of inline six-cylinder motors which were available in a number of different displacements which ranged from between 2.6lt – 3.8lt. The shove from these donks was sent to the HRs rear wheels via either a three or four-speed manual or a two-speed automatic transmission. Although it was produced for less than two years, the HR was a highly successful model for the Iron Lion, with over 252,000 being sold in that time. This particular HR is a ’66 model Premier and comes equipped with the 3.0lt inline six-cylinder motor and, according to the seller, a fully engineered, five-speed Celica manual. The HR is $18,500 and anyone interested in this lovely looking Aussie classic can view the full listing here.